It’s an easeful short voyage out of jungle Manila. I don’t have to purchase plane tickets. And most of all I love the snuggly weather. I and a few members of my family did a short getaway to cool breezy Tagaytay. We were supposed to stay overnight but after a sumptuous buffet lunch at Bags of Beans Café & Restaurant that filled us to our respective alimentary rims… everybody agreed that the money to be spent in a luxurious hotel would be more appropriate to buy miscellany of foodstuffs that can be brought back to Manila. 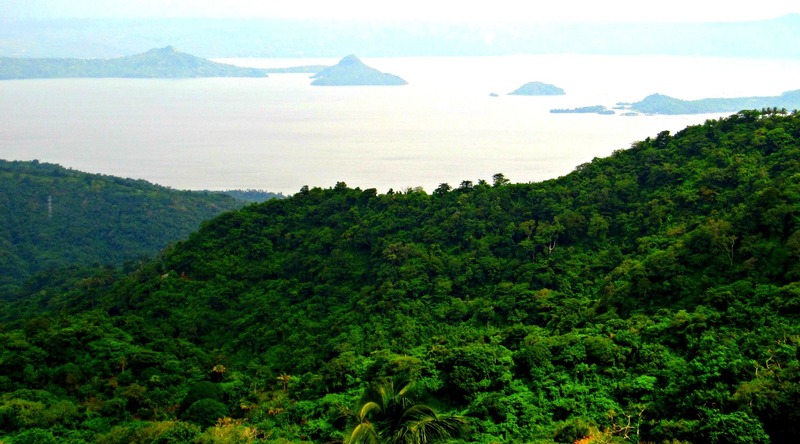 That is the beauty of charming Tagaytay. Being so near Manila, you can actually return anytime that you may want or back out from it if your nutty erratic and eclectic judgment wished so. 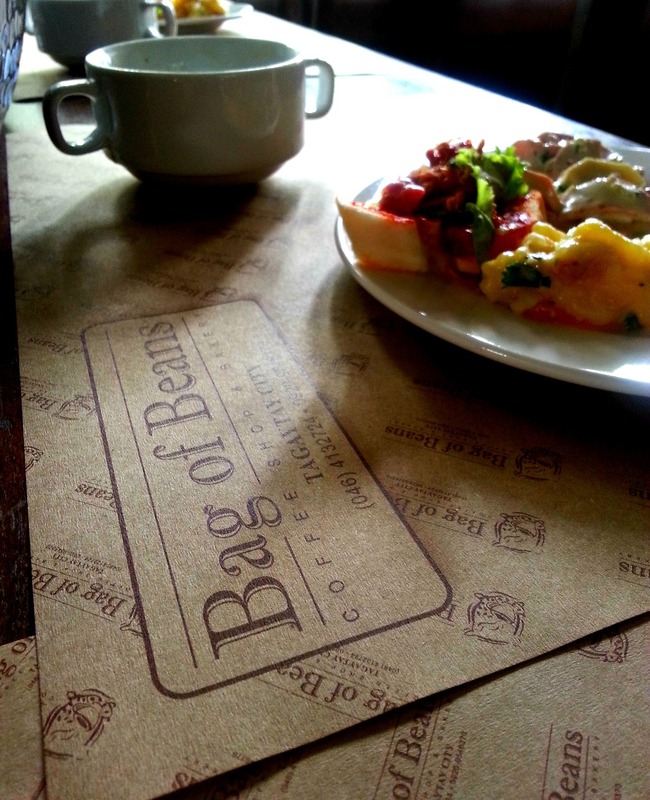 After lunch we stepped into the coffee shop portion of Bag Of Beans and purchase us bag loads of freshly baked (and still hot) loaves of raisin bread, a box of their special and very popular blueberry cheesecake and packs of buttered biscochos. Of course our family’s usual trip to Tagaytay will not be complete without going to Mahogany Market to purchase the most famous and freshest local beef of the province. 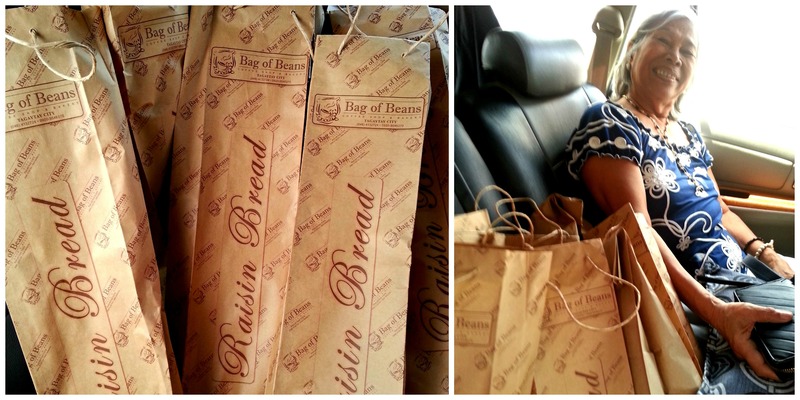 The purchases done by Nengkoy is sooo plenty it felt like she bought one whole cow in that meat market! Before proceeding with more purchases, my elder sister demanded that we pass by Tierra De Maria Heaven of Meditation and Enrichment. 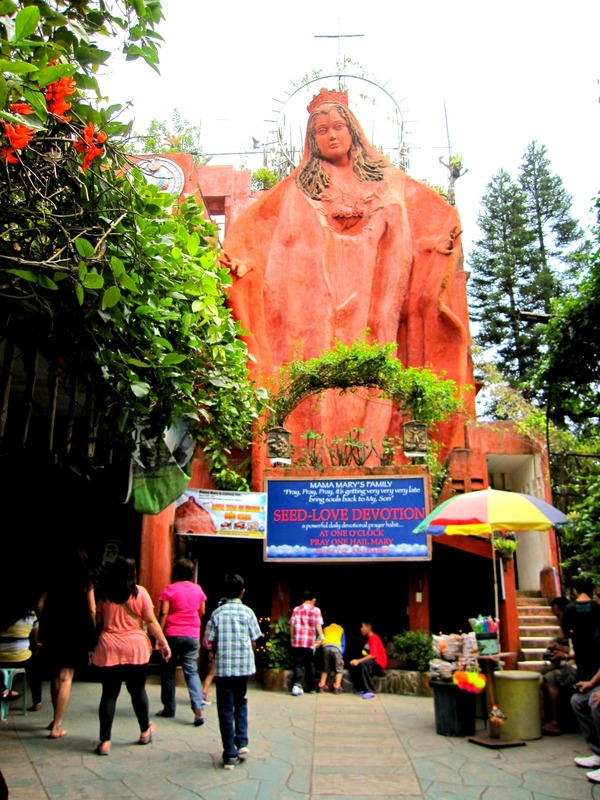 Though very small for a church, it homes the majestic 50-foot image of Mother Mary. Surprisingly the small room with low ceiling is filled with devotees and the walls with statues and statuettes of various saints as well as testimonies of Mother Mary’s holy intercessions. Before I start melting and devotees start exorcism upon me, I demanded that we leave the holy place. 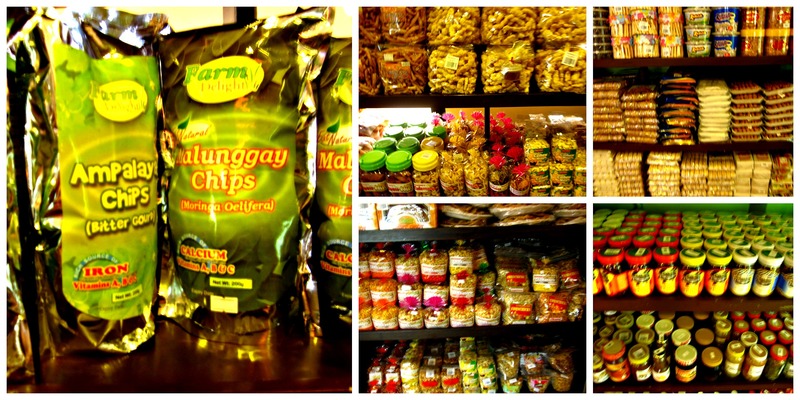 We then head to Rowena’s, one of those famous pasalubong-stop-over-stores in Tagaytay. I can hardly determine the single English translation for the Filipino word “pasalubong”. It is because this Filipino norm and convention of buying take home presents and giveaways is so Filipino.